I didn’t die during my first reading! 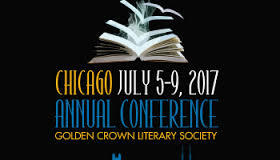 Last week I attended the annual Golden Crown Literary Society conference in Chicago. I had such a great time! I met scads of awesome people, learned all kinds of new things, and expanded my reality as a writer beyond my expectations. I’m still a little tingly from the experience. When I signed up for the conference I decided that I was just going to go there and absorb everything that I could. I was going to attend the workshops and meet people and basically just take it all in. There were all sorts of things to sign up for, but I was just going to watch how other folks did things and then sign up for things at the next conference if I felt like it. This year was for seeing how it went. A sign-up list went out asking for authors to read at the conference. At first, I was all, hell no! Me? Read in front of famous authors? 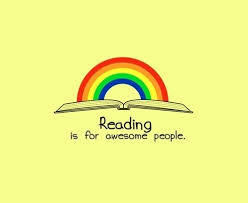 Read my work in front of readers who have feasted their eyes upon the beautiful work of some of my favorite writers? No, thank you! I was not about to do my first public reading of my own writing in front of hundreds of my peers, some of whom have been professional writers longer than I have been alive. Thank you very much, but I will sit that one out. But then the coordinators asked nicely. They said that it would be fun. And I caved. Just like that. I signed up to read. And I was terrified. A month before the conference I selected my five-minute piece and practiced it a few times. As the conference drew near, I started wondering if I could get out of the reading. But I didn’t. I practiced my reading to make sure the timing was right. I recorded myself to make sure I wasn’t reading too fast or too slow. I adjusted the piece to make sure it made sense as a stand-alone scene. The night before the reading, I practiced a few more times before I went to bed. I didn’t think I was going to be able to sleep that night, but I did. Thankfully, my reading slot was early in the day and I didn’t have the torture of thinking about it for too long before getting it over with. The remarkable thing was that as soon as I entered the room, I was totally relaxed. All the anticipation seemed to melt away. When I took my seat alongside all of the incredible authors who were also reading, I was surprisingly peaceful. And when my name was called, I read my piece and I didn’t screw it up. I actually had fun! I can’t wait until I can get to do it again. 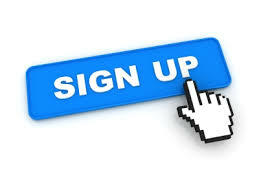 Join our mailing list to receive updates on new releases and events. Hi. I like the updates to the site. I had no idea you were so nervous about your reading, but I understand now after reading your post. Of course, you would be nervous. Dah. Anyway, I’m excited for you and the upcoming award season regarding Chasing Mercury.